Beautiful kit or should I say kits. A Pearl family portrait would be some work but very sweet. Do you own hardware? ... Or cymbals? Another awesome kit. I'm curious why you have three kits of the same series and shell layup. Wondering why you wouldn't go with another series for variety. I also have a Yamaha stage custom birch. I like the sound I get with these thin maple shells, I also like to practice on the same shells that I will play live as well. One of these kits stays home in my practice room, the other in the band space and the 3rd is for live. Got it! Yes, those shells sound great and light for gigging which is a bonus too! The matte natural is the biggest configuration of that kit that you have right? 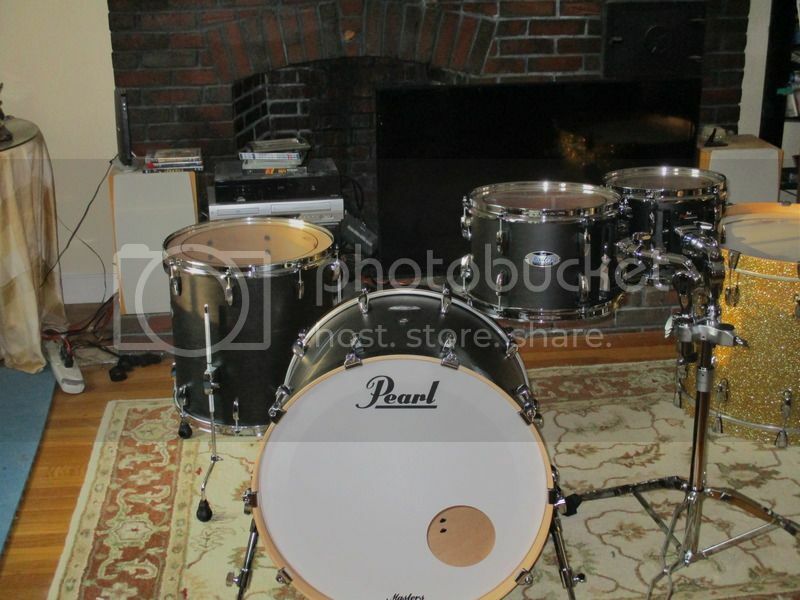 I have the Bombay Sparkle in the same set up as the matte natural and I also have the matching snare. 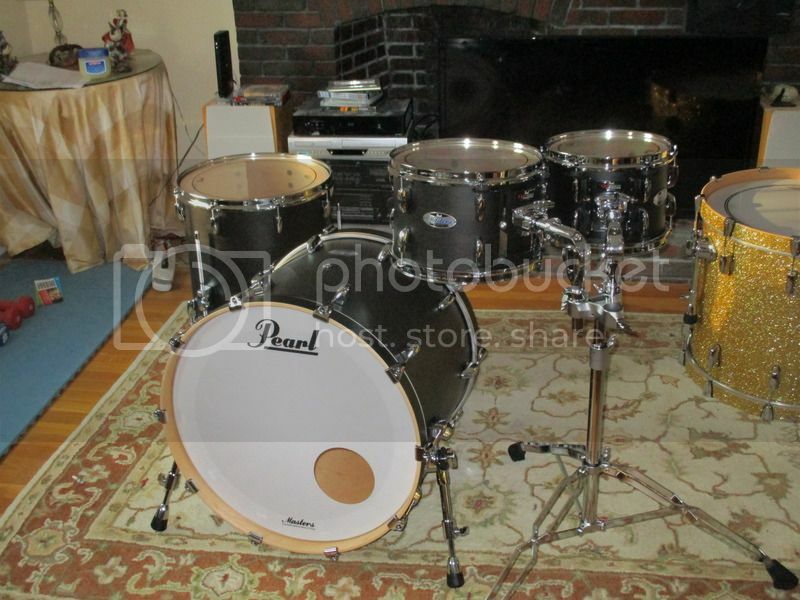 I am setting that one up tonight once I get my drum room all organized. I also plan on getting the 14x14 for the black mist kit and will get the 10x9 and 12 x10 and 14x12 rack toms to have a more compact kit as an option. Will eventually buy the 13x11 and a 22x16 kick as well as soon as I am employed again. Lost my job last week. Bummer! Good luck with re-employment soon. Thanks, I hope I can find something pretty soon. I am losing my mind and it's just over a week. Dude, I'm sorry. I hate being in between jobs. Good luck on the hunt.